As any buyer or seller of real estate knows, there are multiple reasons to choose a listing or selling agent, a mortgage broker, or an insurance agent. How about choosing one who will donate a portion of their commission to a Nonprofit organization that they care about? REBSEA has formed a network of agents who believe in philanthropy and are proving it with donations. REBSEA has hundreds of Realtor members throughout the United States and Canada and has recently expanded its membership to include Lenders and Insurance Agents. “Our model of having only Real Estate Agents who donate was the first stage in our evolution” stated CEO David Matluck. “We now have hundreds of Real Estate members across the U.S. and Canada and it became timely for REBSEA to provide additional funding for NPOs by including Lenders and Insurance Agents. Our goal is to become inclusive of all types of businesses that support the nonprofits in the communities they serve". 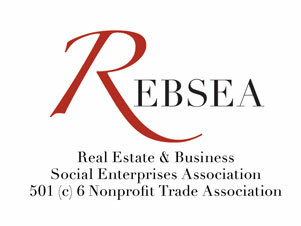 The influx of members mandated another significant change for REBSEA which is the complimentary inclusion of Nonprofit Organizations as members, including the ability to join the Leadership Committees of REBSEA which provide guidance and support in many of the targeted Nonprofit sectors being supported by REBSEA members. Leadership Committees have been formed for many different types of NPO activity including: Veterans, Animal Welfare, Health Care, Children, Homelessness,, Habitat for Humanity, etc..
1) Nonprofit Organizations enjoy the benefit of unrestricted funds with absolutely no fundraising cost or fees. 2) REBSEA members receive new clients from NPO supporters. 3)Consumers turn their transaction into a contribution to a cause they care about without any cost to them.